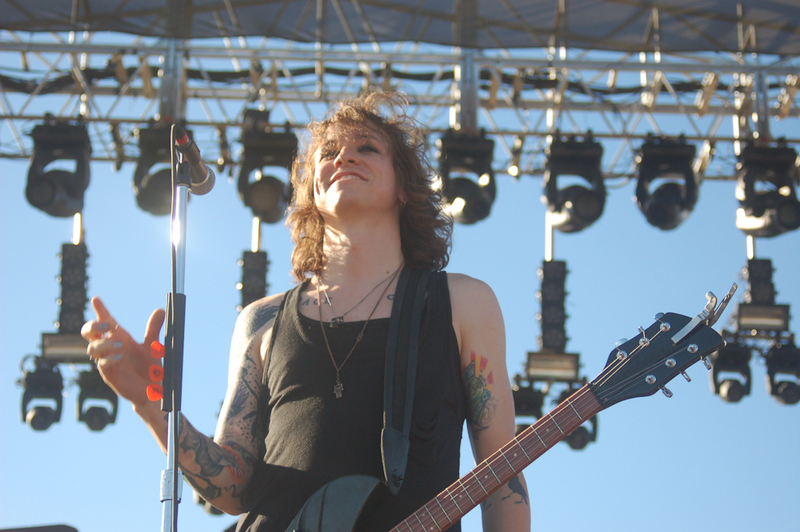 Laura Jane Grace, frontwoman of the band Against Me! has announced that her new project, Laura Jane Grace and the Devouring Mothers, are now signed with Bloodshot Records. The band will also release their debut album with the label, set to arrive this fall and will play some shows in the midwest in November in support of the new album. 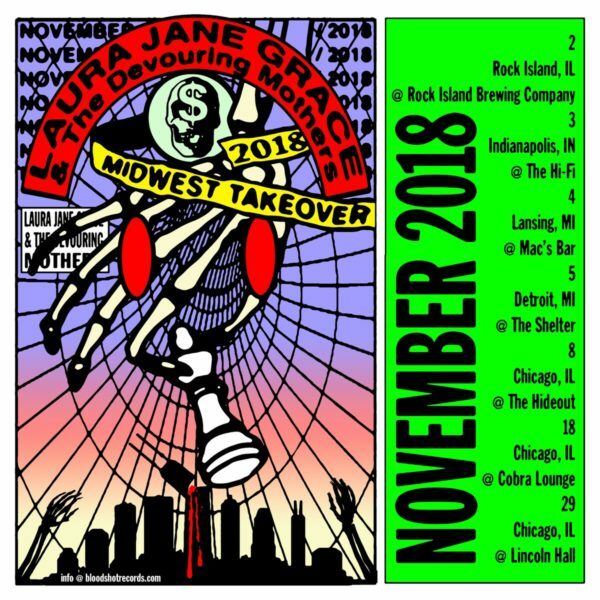 The tour will kick off November 2nd in Rock Island, IL and will make stops in Indianapolis, Lansing, and Detroit, before concluding with three nights in Chicago at different venues. See the full itinerary below. Laura Jane Grace & the Devouring Mothers consists of Laura Jane Grace, Atom Willard, and Marc Jacob Hudson. Before touring in the fall, Grace’s other band, punk rockers Against Me!, is currently on the road with Speedy Ortiz in support of their 2016 albumShape Shift With Me. Devouring Mothers bassist Marc Hudson also serves as the sound engineer for Against Me! Tour dates are below.